Want to have fresh flowers at home, but don't want to spend too much? Well we may just have the answer for you! We have 4 wonderful introductory packages available to cater for all budgets - all of our packages can be adapted to fit your needs and accommodate any special requests you may have. We will provide either 1 or 2 arrangements each month - If you'd prefer more or less, for example 1 arrangement every 3 weeks, then let us know and we can adapt the package to suit your requirement. The Bloomin' Lovely Bunch will be made up of a real mixture of blooms in a variety of colours . You will receive 1 x small but healthy bunch wrapped in paper each month. The arrangements will be ready to pop into a vase and will bring a little splash of colour into your home. The seasonal selection will be made up of fresh seasonal blooms in a variety of colours . 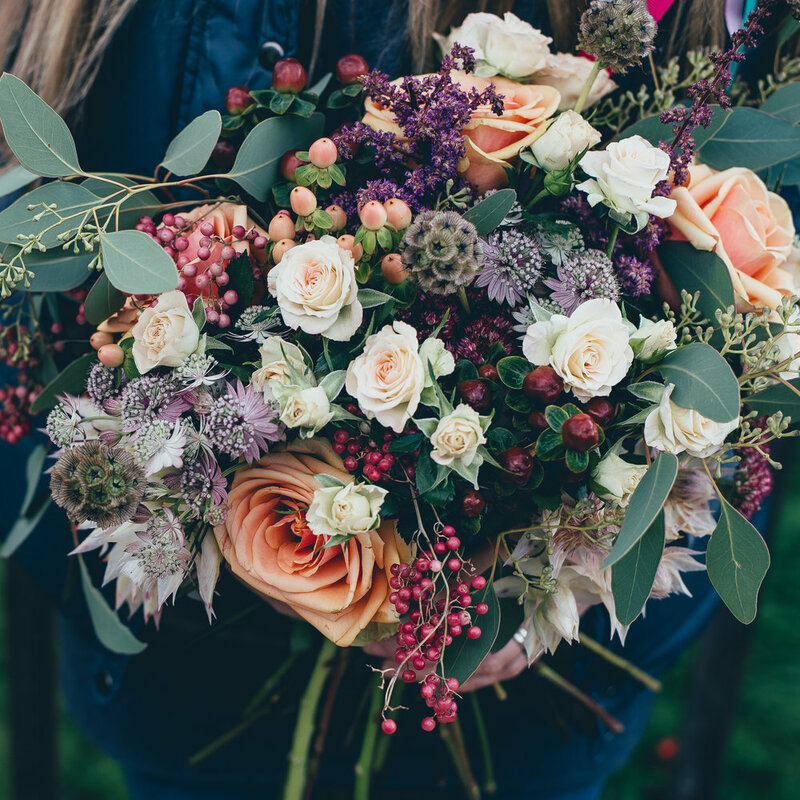 Opting for the Seasonal Selection means you’ll get the most out of your stems as the blooms will be at their best! Wrapped in paper and ready to place straight into a vase. The perfect assortment will be exactly that, a healthy variety of fresh seasonal blooms with a little more of that wow factor than the Seasonal Selection. You will receive 2 x bunches wrapped in paper each month, so that’s 1 bunch every fortnight in a variety of colours. The arrangements will be ready to pop straight into that glorious vase you have! The show stopper will be a perfect addition to your home. Flowering your lounge, kitchen or dining room with a gorgeous showstopper bouquet. Each month you will receive either 1 x LargeHand-tied bouquet or 2 x Smaller Hand-tied bouquets; both come aqua packed. wrapped in paper collar and presented in a Holly and the Ivy Box Bag. The arrangements can stay in the aqua pack for a couple of days and then when you're ready can be popped straight into that gorgeous vase you have! If you love bright colours, but really dislike tulips, then no problem as each of our customers will have a tailor made profile. This way, we know what will be the best fit for you and your home. All our Packages come with the option to collect from Holly and the Ivy directly free of charge, or alternatively an additional £3 reduced delivery surcharge will be added to each delivery. No Fixed Term, giving you the flexibility to cancel your subscription whenever you like. Still keen, then fill in the form below or get in touch with us! We also offer Birthday and Anniversary subscriptions - We remember those important key dates, so you don't have to! Flower Club - Lets Design something FABULOUS!